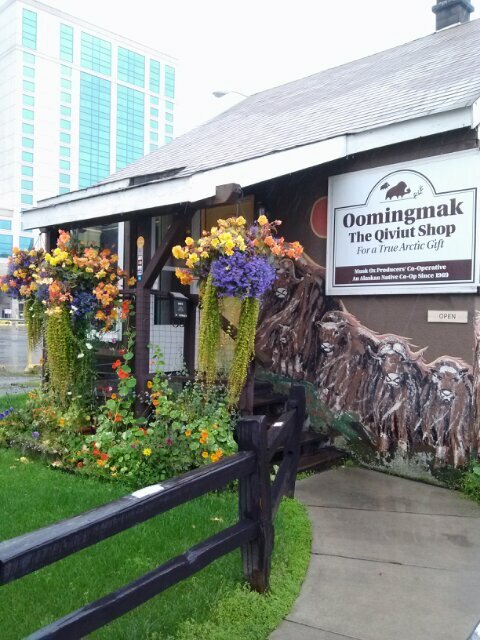 Margaret and I stopped by Qiviut Alaskan Handknits shop. Native Alaskan’s from different tribes knit tribe specific patterns of musk oz wool. The musk ox (sheep family) sheeds wool. The wool is gathered washed lightly and spun into yarn. The wool is lightweight and soft to touch is knitted into a garment. Don’t let the fine yarn fool you, the items knitted from the wool is incredibly warm. 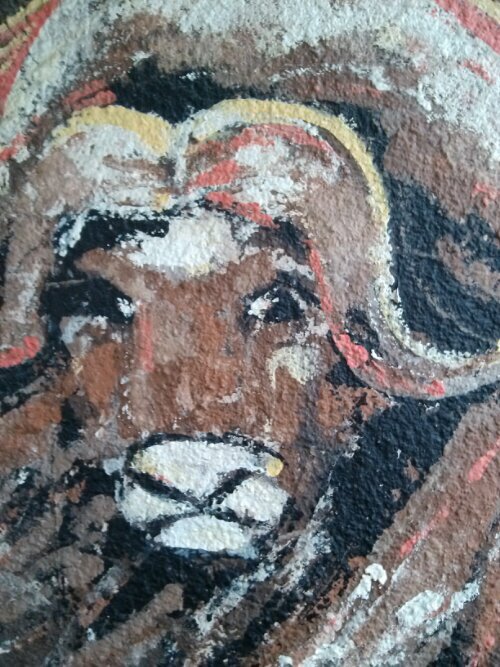 ….and his words like the Musk Ox wool warm your heart.